Comments: Honestly, I don't remember how or when I found this 2007 portrait card. 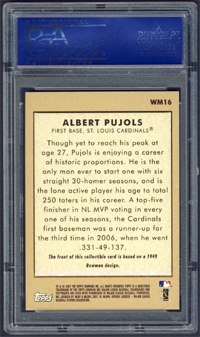 But, I know it replaced a 2003 Fleer Tradition Goudey B&W PSA 10 I owned. IMO it was a better portrait card. 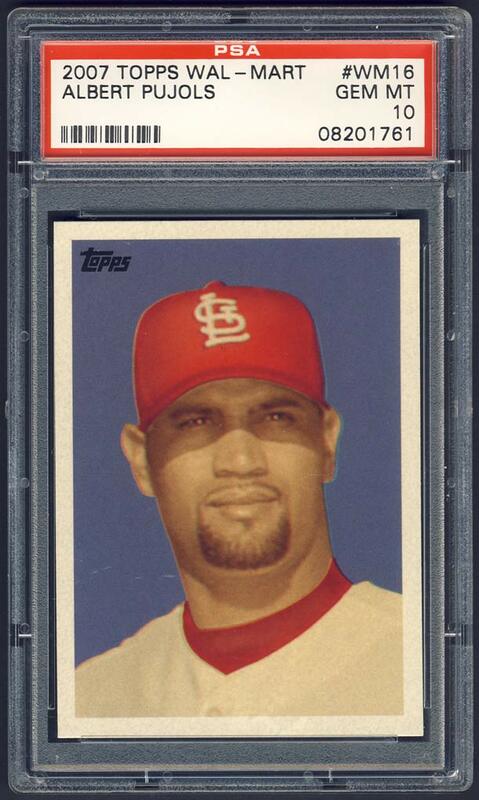 I'm guessing it was in a player box at one of the Nationals and I must have liked the mugshot; considered it a good fit for the collection. 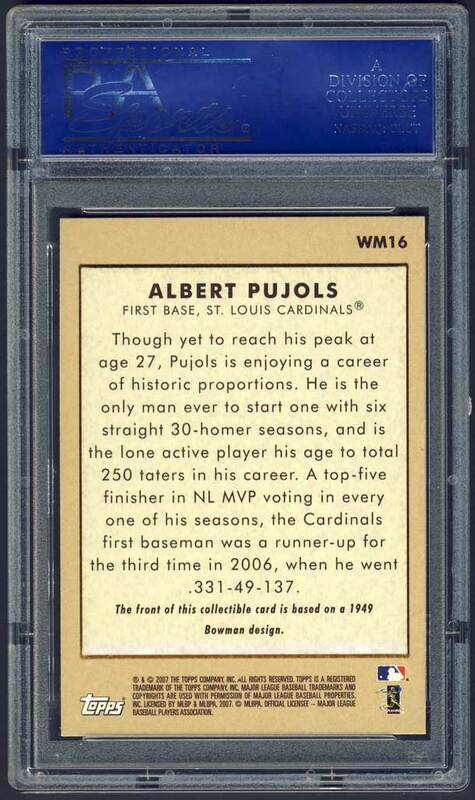 Anyway, I ended up sending the card to PSA and it was returned to me in March, 2008 slabbed GEM-MT. 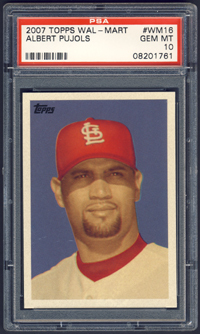 It was a relief to know I wouldn't need to submit any more Pujols Wal-Mart singles with the hopes of scoring a '10' grade. This one's it for King Albert.